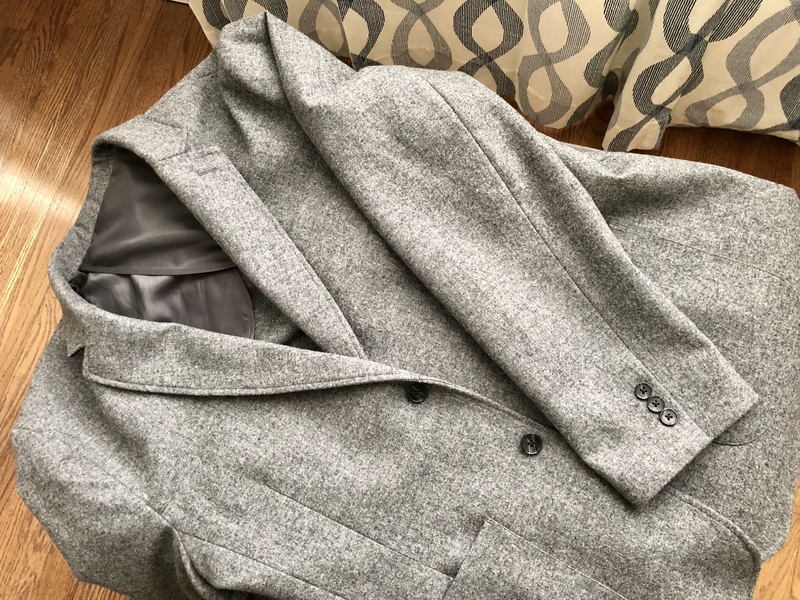 This blazer was provided by Wool & Prince for review. When shopping for a blazer, you will find wool is a common fabric. That probably doesn’t come as a surprise, but due to cost many have non-breathable linings or don’t use merino wool. Enter the Wool & Prince Blazer. It is half-lined and made from merino wool. 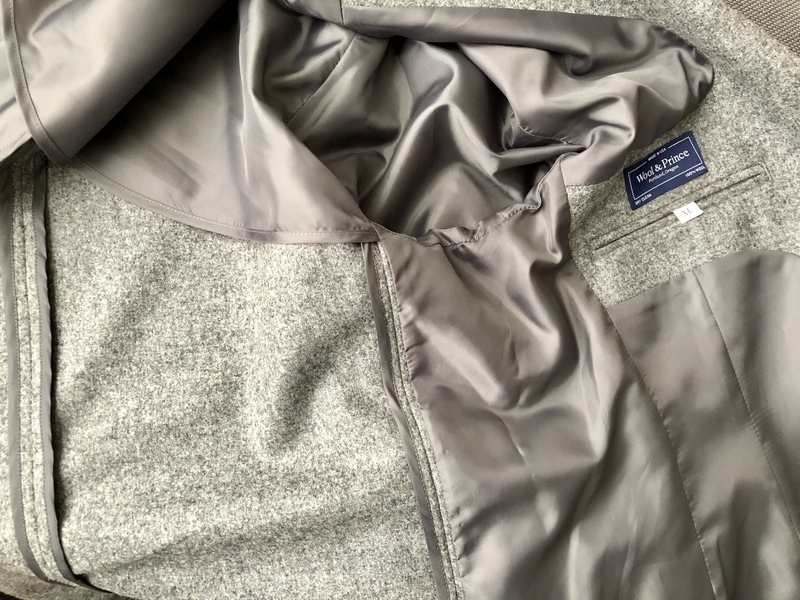 In fact, it is made with Pendleton merino fabric (one of the best wool mills in the world) and sewn right in the New York City Garment District. While it is unusual for me to find an off the rack blazer that fits well, this blazer fits me very well. Your mileage will vary depending on your body shape, as the blazer only comes in slim sizes (S, M, L, & XL), rather than the more discrete standard blazer sizes based on your chest. I typically need a long jacket, but the sleeves on this jacket were just about the right length for me. Wool & Prince provides a size guide for some more information. For reference, I wear a L Regular in their button-downs and I have a XL Slim in the blazer. In regards to how the blazer moves, since it is only half-lined, I never felt restricted — even when putting on or taking off my backpack. Of course, a wool blazer will never match the movement of a synthetic blazer but makes up for the lack of movement with a great drape. Made with merino wool, this blazer looks just like a standard wool blazer. It drapes just as expected and the fabric has great texture. The patch pockets on the front definitely make it a blazer (so don’t try to match it with pants for a suit). While not as versatile as the classic navy blue, the charcoal grey of this blazer looks great. The half-lining lends to the performance. It allows the merino to work its magic in regards to odor resistance and temperature control. I wore this blazer with a Wool & Prince Button-down and a merino undershirt in weather just above freezing and did not feel too cold walking between my hotel and car. If it were much colder or I was going to be spending time outside, a jacket would have been necessary. Typically, a blazer this warm would be too hot inside, however, this was not true with the Wool & Prince blazer. I was very comfortable in a day-long meeting as well as while traveling. I even wore the blazer to an Indian restaurant, and it did not have any hint of spicy smell when I left. As far as wrinkle resistance, the blazer arrived folded up in a box with only one slight wrinkle. I was able to give the jacket a light steam and the wrinkle fell right out. The fabric can pick up small wrinkles in the elbows with wear, but they fall out easily overnight. While traveling, I was able to fold the blazer and put it in the overhead bin or on my lap without any issues. I imagine if it was jammed into a bag, it might come out with some wrinkles, but that could be easily fixed with a steamer (or a steamy hotel bathroom). This blazer has four pockets — one exterior breast pocket, two patch pockets, and one interior breast pocket. 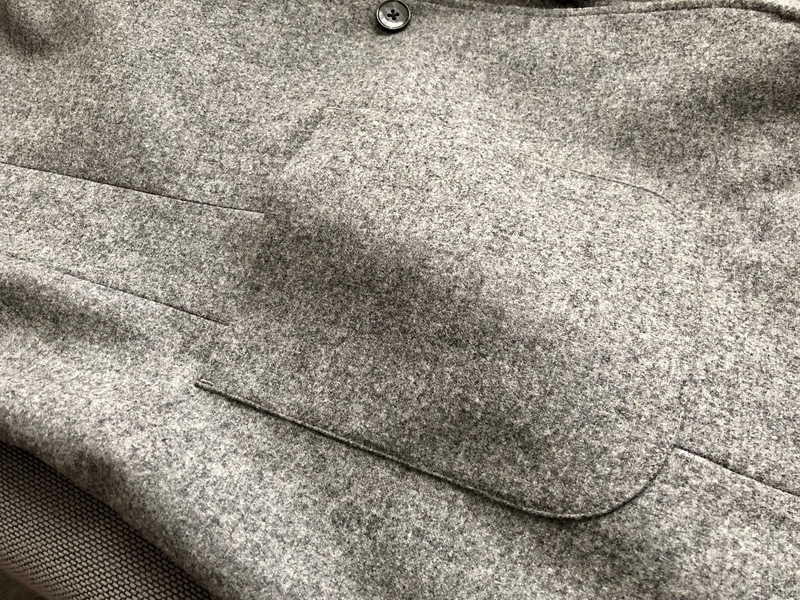 The patch pockets work well for holding my iPhone X, however, it sticks out of the exterior breast pocket (and the interior pocket comes sewn shut, but you can open it by cutting the thread). The construction of the blazer is excellent. The half-lining is over the shoulder blades across the back, down the sleeves, and down the sides of the jacket and part of the front. The unstructured shoulders lay nicely. Also to note, the sleeve buttons are non-functional. This makes it easier for a tailor if you need to have the sleeve length adjusted. This blazer is an amazing as an all-around piece for any wardrobe. It could be dressed down with jeans or dressed up with chinos or dress pants. The fabric looks, feels, and performs extremely well. I can’t imagine finding another wool blazer that I would prefer to wear over this one. Other than needing the extreme wrinkle resistance of synthetic, this blazer deserves top consideration. The Wool & Prince blazer has become my new go-to for any occasion. I love how it helps regulate my temperature and resists odors. It makes a great travel companion or to dress up for a night out on the town.